Recognising a kindred spirit, we’re very proud to welcome Chicago’s CAVE to Roadburn 2019. This Windy City instrumental exploration unit has been redefining modern psych wanderings in an exciting way for almost a decade. 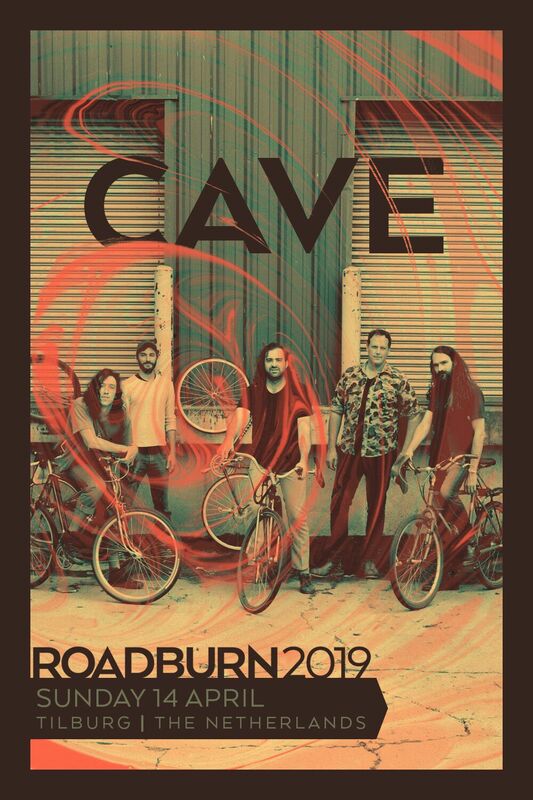 They’ve been on our radar for much of that time too – their wanderlust has even inspired us at Roadburn HQ to broaden our horizon when it comes to psychedelia, hence inviting CAVE to the 2019 festival. Channeling Krautrock staples like Can and Neu! with Miles Davis/Funkadelic style funk, CAVE is offering an instrumental galaxy of hypnotic jams. It’s the band’s groove-heavy – yet loose – approach which gives way to an intricate backdrop for these spontaneous explorations; from fuzzy leads to free jazz fusion, from prog to psychedelic library music, from subtle funk to South American delights. Amplifying all these layers so effortlessly, CAVE’s latest album, Allways, is not only a reaffirmation of the band’s innovative approach, but a welcome return as well, as its predecessor, Threace, dates back to 2013. The album is also a template for a phenomenal live show which will showcase CAVE’s primacy among their peers, and Roadburn too on Sunday, April 14.